Elite Cleaning Squad is a maid service in Katy, TX that has the main goal of providing their clients with exactly what they want and need. If these expert cleaners have not exceeded your expectations then they have not done their job properly. If you are not already in touch with someone from this company then you are encouraged to call and get a better idea of what this local house cleaning service can do for you and their lowest price. Clean Sweet Home Maid Service offers everything you could need to keep your home or business in tiptop shape. They are a home and commercial cleaning service that does everything from trash clean up to straightening rooms, vacuuming, cleaning bathrooms and so much more. Since this company can offer both a residential and office cleaning service, they are available to do more on a daily or weekly basis to suit the needs of their clients fully and even offer deeper seasonal cleans too. 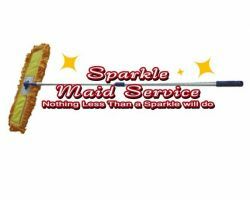 Since 2004 Sparkle Maid Service has been setting the standard for Katy cleaning services. This company is known for only hiring the most professional and experienced maids to ensure the company’s high standards are upheld. Reviews have said that having a house cleaning service they can trust has been the best thing to happen to their families. Everyone is able to spend more time together; knowing every nook and cranny has been cleaned by a highly qualified housekeeper in Katy. Bee Maids is professional house cleaning provider that serves Katy , West Houston , and surrounding communities in Cypress and Richmond . Our services include : Weekly cleaning services , biweekly cleaning and monthly (every 4 weeks) cleaning . We also provide deep cleaning services , move in and move out services , one - time services . We are insured and bonded for your security and peace of mind . 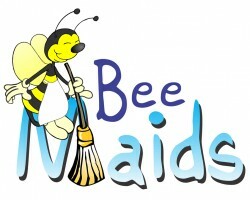 your home , family and pets deserve the best so Bee maids uses the best equipment and supplies available . Only the best clean your home! Freedom Maids is a cleaning service that prides itself on offering some of the most affordable prices for their services in the Katy area. Everything they do to clean your home revolves around what you need them to do. 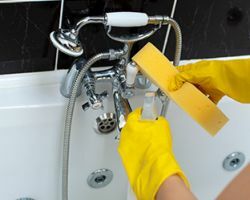 This might mean the schedule varies, as you may only need someone only to be on call for deeper cleans or it can mean setting up weekly appointments to make sure your home is presentable at all times. For a relatively cheap price, you can have a home that is guaranteed to be clean. Hiring a housekeeper or cleaning service means letting someone into your home and allowing them access to everything in order to provide you with a clean space. This takes a serious amount of trust on the part of the homeowner, something The Cleaning Authority fully understands. That is why they only hire the best and most qualified cleaners. These cleaners have gone through background checks as well as intensive training. They will use only green materials and will always leave your home spotless.